I'm very familiar with the Nike Ignite models. 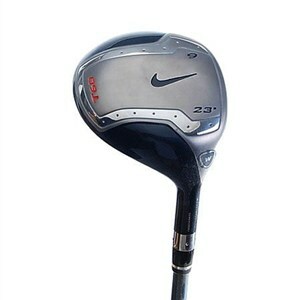 I still carry a Nike Ignite driver in my bag, even though the club is six years old. I should know better -- six years is a lifetime when it comes to golf technology. I always advise everybody (but the guys in my foursome) to update their clubs ever couple of years. One advantage to the incredible advancement in golf technology is that you can pick up little gems like this 9-wood for nothing more than the change you found in your couch cushions. I really like this club for you slower swingers who aren't a big fan of swinging your long irons. This nine wood is much easier to swing. It has a very light graphite shaft with a ladies' flex. The best thing about the club is the hot clubface. (This is why I still swing the driver.) The golf ball jumps off the face and goes very long. For a little more money, I recommend you look at the Callaway Big Bertha Heavenwood 09. This is a hybrid and is even easier to swing than the 9-wood.